• What Information does EntrepreneurWeb.com Collect? • Information EntrepreneurWeb.com Collects Directly from You. • Information EntrepreneurWeb.com Collects Automatically. • Does EntrepreneurWeb.com Share Your Information? • How does EntrepreneurWeb.com Protect Your Information? • How to Contact EntrepreneurWeb.com. What Information does EntrepreneurWeb.com Collect? At EntrepreneurWeb.com, we collect two types of information: personal information and non-personal information. The types of information we collect depend on the nature of your interaction with us. Certain pages of our Web Sites, such as "Community Forum", facilitate interactive discussions between users and EntrepreneurWeb.com staff or agents acting on our behalf regarding products and services available for purchase through the Websites. The Customer Review tool is provided as a rating system that offers you the chance to share your thoughts on a product. These public forums and reviews are accessible to all Web Site visitors so please use discretion when posting information to them and do not post personal information. 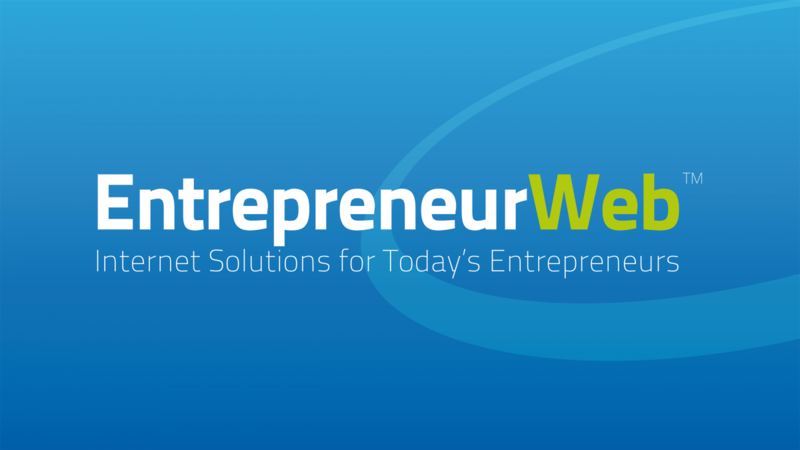 EntrepreneurWeb.com also offers a variety of newsletters and promotional communications. Should you choose to enroll we will collect your contact information, such as name and email address. This information will only be used to send you the newsletter and promotional announcements that you have requested. You may "unsubscribe" at any time by using the unsubscribe link included in the footer of the newsletter or by using the unsubscribe link included below under the heading "Unsubscribe". Our subscriber list is never sold or rented to other parties. While visiting our Web Sites you may choose to use the "Tell a Friend" tool which allows you to inform a friend about products and/or articles of interest to you. The information you provide will be used to send a one-time email to your friend, inviting them to EntrepreneurWeb.com. We will not add your friend to a mailing list and will not send them further email unless they choose to receive such communications from us. When using the "Tell a Friend" tool you are contacting your friend directly and as such you acknowledge that you are responsible for this correspondence and not EntrepreneurWeb.com. If you provide us with personal information concerning another individual (e.g., email address), you represent and warrant that you have obtained all necessary consents from that individual to enable us to use that personal information for the identified purpose. EntrepreneurWeb.com operates customer support call centers to accept and address your questions, concerns, or complaints. When you contact our call centers, we may ask for personal information to help us respond to your inquiry or to verify your identity. For example if you have a question about the status of a recent online order, we will ask for personal information to verify that you are the account holder. We may also monitor or record your telephone discussions with our customer support representatives for training purposes and to ensure service quality. Our Web Site may contain links to other Web sites or Internet resources which are provided solely for your convenience and information. When you click on one of those links you are contacting another web site or Internet resource. EntrepreneurWeb.com has no responsibility or liability for, or control over, those other web sites or Internet resources or their collection, use and disclosure of your personal information. We encourage you to read the privacy policies of those other web sites to learn how they collect and use your personal information. Does EntrepreneurWeb.com Share Your Information? EntrepreneurWeb.com does not sell or rent our client's personal information to any other party. However, in the normal course of business we may share some of your personal information within our corporate family and with third parties acting on our behalf or as permitted or required by law. Some of these operations may result in personal information collected by EntrepreneurWeb.com being stored or processed outside of Canada and, as a result, your personal information may be accessible to law enforcement and regulatory authorities in accordance with the law of these foreign jurisdictions. EntrepreneurWeb.com has taken precautions to prevent the fraudulent use of your information on our Web Sites. EntrepreneurWeb.com has adopted industry standard authentication procedures to ensure your protection while shopping with us online. This includes, but is not limited to, contacting financial institutions or credit reporting agencies to ensure the authenticity of your credit card and to validate your credit card billing information. EntrepreneurWeb.com may disclose your information as permitted or required by law. For example, we may be compelled to release information by a court of law or other person or entity with jurisdiction to compel production of such information. If we have reasonable grounds to believe information could be useful in the investigation of improper or unlawful activity, we may disclose information to law enforcement agencies or other appropriate investigative bodies. How does EntrepreneurWeb.com Protect Your Information? The security of your personal information is a high priority for EntrepreneurWeb.com. We maintain appropriate safeguards and current security standards to protect your personal information, whether recorded on paper or captured electronically, against unauthorized access, disclosure, or misuse. For example, electronic records are stored in secure, limited-access servers; we employ technological tools like firewalls and passwords; and we ensure our employees are trained on the importance of maintaining the security and confidentiality of personal information. You may check your information to verify, update, or correct it, and to have any obsolete information removed. If you created an account on one of our Web Sites, you can access and change your online account profile information yourself. You can also ask to review any of the information that we have retained, how we have used it, and to whom we have disclosed it at any time by contacting us as indicated below under the heading " How to Contact EntrepreneurWeb.com". Subject to certain exceptions prescribed by law, and provided we can authenticate your identity, you will be given reasonable access to your personal information, and will be entitled to challenge the accuracy and completeness of the information and to have it amended as appropriate. You may also ask us to change your preferences regarding how we use or disclose your information, or let us know that you do not wish to receive any further communication from us. Please remember that email sent over the public Internet is not secure. If you send an email directly to us from your own email account the contents will not be encrypted. We strongly recommend that you do not send sensitive information (like a credit card number) to us via unencrypted email. EntrepreneurWeb.com is not responsible for any transmission by you of any personal information over the public Internet. For Terms & Conditions information, please click here.